Rarely do Lisbon locals – Lisboetas – ride the busiest trams or eat lunch in Rua Augusta. Neither are they seen paying exorbitant prices for traditional Portuguese meals, but do know where to listen to the best fadistas. Locals know the city like the back of their hand and steer clear of tourist traps and long lines. There’s plenty to see and do in the Portuguese capital that’s not aimed squarely at the tourists, including sampling exotic cuisine, dancing to some of the city’s most vibrant music and heading out of Lisbon for short day trips. Lisbon is full of rooftop bars that offer stunning views, two of the most popular being TOPO and Park. The first is located on the top floor of an international shopping centre and looks out over Martim Moniz and towards the St. George Castle (Castelo de São Jorge). The second, Park, is located on the rooftop of a car park in Bairro Alto, with views of the Tagus River and the Santa Catarina church. Both locations are super beautiful, relaxing, and great for sipping a drink while enjoying Lisbon’s lovely weather. It makes sense to eat Portuguese food in Portugal, especially since it’s delicious, but Lisbon is home to many amazing non-Portuguese restaurants too. The capital attracts migrants from other Portuguese-speaking countries and territories, so this is a good place to start. Brazilian rodizios offer all-you-can-eat menus for about €12-15 at lunch and less than €20 during dinner. Lisbon also enjoys a mix of African cuisines, especially from Mozambique and Angola. And as for sushi, the Portuguese capital doesn’t disappoint and restaurants offering all-you-can-eat menus are all over the city. Instead of shopping in Baixa, hop on the Metro’s blue line and take it to the Colégio Militar/Luz stop, where the Colombo Shopping Mall is located. It’s one of the largest shopping centres in the city, complete with restaurants and a movie theatre, and a great place to explore the local fashion trends. Listening to fado music is an experience that everyone should have while visiting Lisbon. It’s the heart and soul of Portuguese culture and this musical style developed in the capital. Alfama is one of the best places to catch a fado show in one of the many restaurants, one of the best spots being Tasca do Chico. It’s cosy, elegantly lit and filled with strong scents of delicious Portuguese wine and appetisers. It also hosts some of the city’s best fado singers. Just remember that Lisbon has two Tasca do Chicos, one in Bairro Alto and the other in Alfama; both are great but the latter is considered the better option by many locals and it’s usually less busy. Every Saturday, in Lisbon’s multicultural centre known as Martim Moniz, a group gathers to dance Brazilian forró beneath the stars. The music is upbeat and energetic, with participants ranging from professional dancers to those trying their hand for the first time. A food and drink stand also sells Portuguese and Brazilian snacks and cocktails, adding an authentic touch to the evening. The easiest way to find out what’s going on in Lisbon is by joining Lisbon groups on Facebook or Meetup. As the city’s metropolitan community continues to grow, a number of culturally diverse events are organised, from Asian festivals to Tall Ships Festivals and club-hosted parties. Signs and flyers are usually posted around the city highlighting upcoming events, too. Recent events include Monsanto Primavera Fest and the Harry Potter and the Sorcerer’s Stone concert. Like locals everywhere, Lisboetas love their city but enjoy taking a break every now and then to visit the quiet countryside or spend time by the water. One of the best things about Portugal is its size and the ease of traveling to other cities or regions. Oriente Station in Parque das Nações is the main hub for trains and buses traveling from Lisbon to most destinations within, and outside, Portugal. If heading towards Cascais, hop on the train at Cais do Sodré station instead. 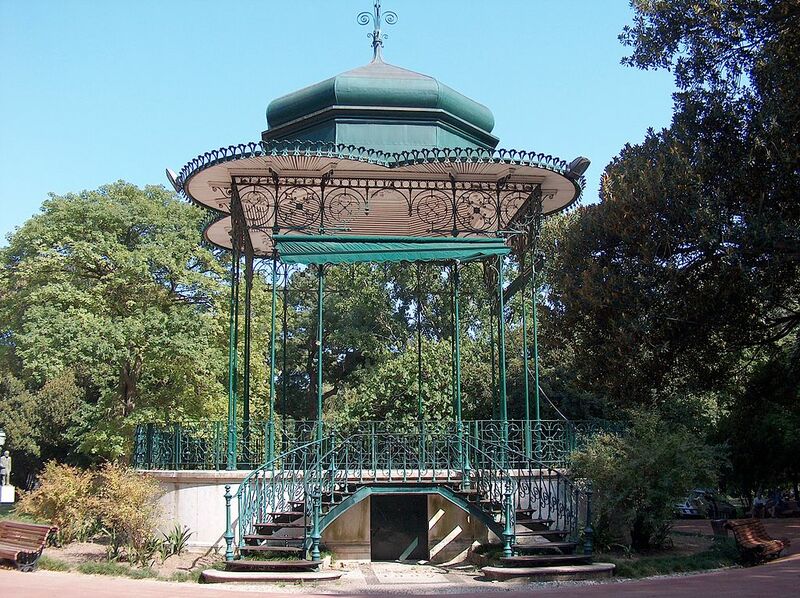 The Estrela Park, or Jardim da Estrela in Portuguese, is one of the prettiest parks in the city. Extremely green, it is filled with an abundance of lush vegetation and includes a pond, an iron gazebo and plenty of benches. Make a picnic and enjoy hearing the chirping birds, or just walk around soaking up the atmosphere. The garden is easy to find – just a few blocks from the Rato metro stop.